The Directory provides information about businesses and organizations catering to families in Central Iowa. Our goal is to become a one-stop resource for parents looking to enrich their family life while keeping a focus on local business. 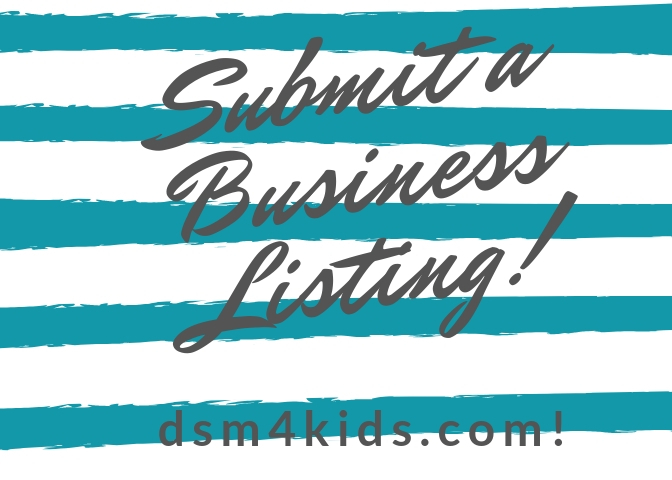 We are constantly building our directory, but if you represent a business or organization, we encourage you to add your own FREE Basic Listing directly through the site. You can also have your family-friendly events added to our calendar by clicking on Submit Event.